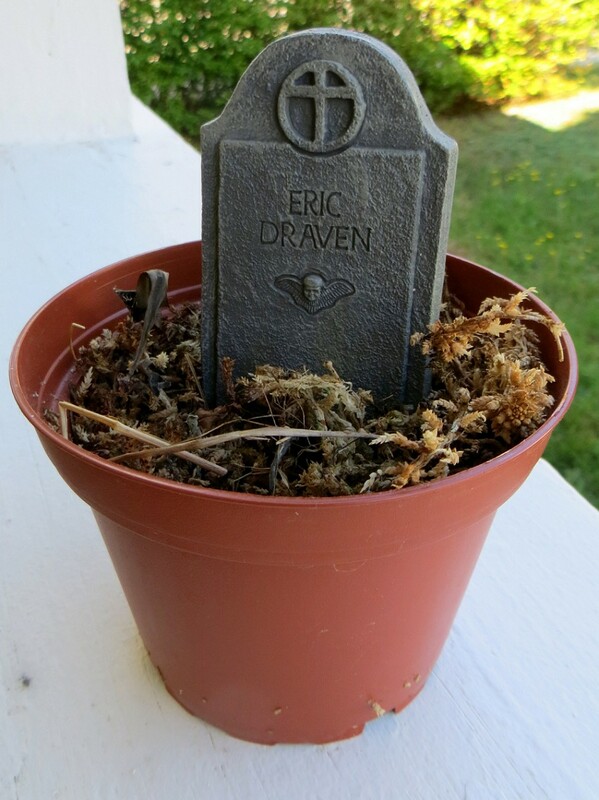 September 23, 2014 — This was my Venus Flytrap. 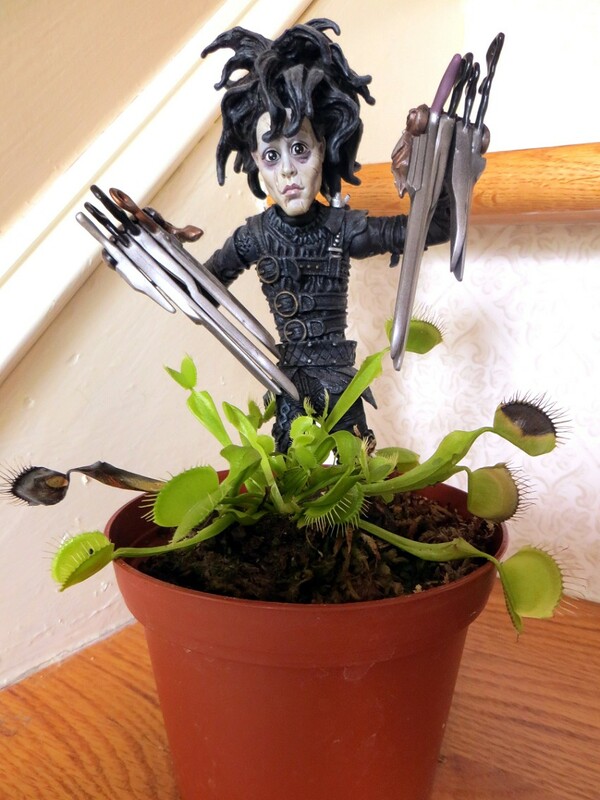 Its name was Venus Flytrap, after that one black DJ on WKRP in Cincinnati. All my life, I’ve wanted a carnivorous plant. 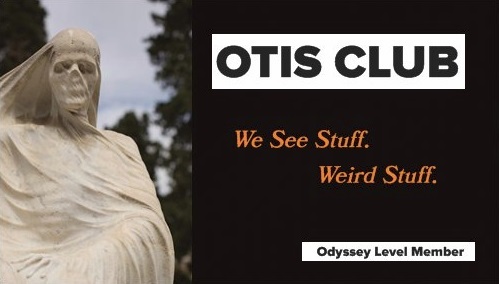 Just like I’ve wanted a human skull to set on my bookshelf and a stuffed raven to perch above my door and a suit of armor to set up in in my foyer. But I never bought one. Not even when they became easy to get, stocked in the educational and science aisles of Toys R Us as they are or a mere drunk-click away online. 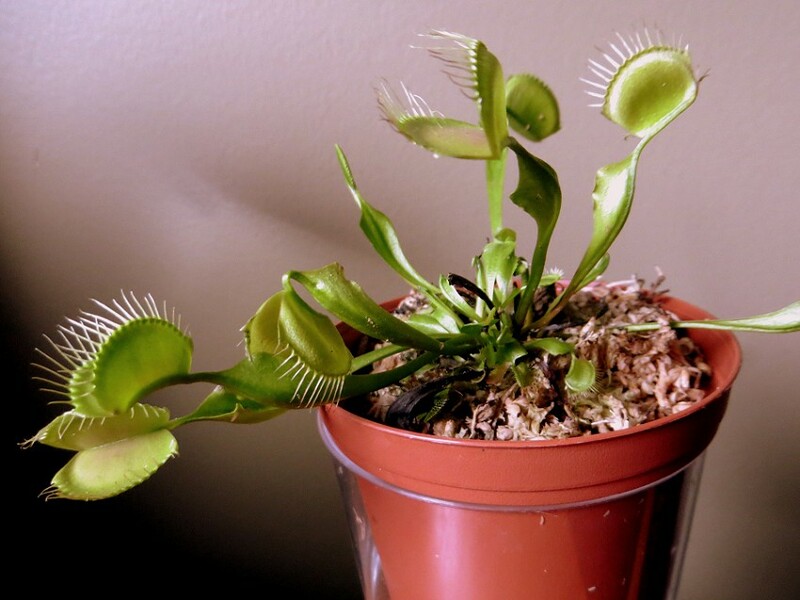 The reason I never bought one is because I thought they were impossible to keep alive without tropical climes, even after learning firsthand that some species of carnivorous plants grow wild as far north as my current state of New Hampshire. I still thought of them as gimmicks, like sea monkeys, meant to be purchased on a lark and treated as a novelty destined to die a couple weeks later. Or I thought that you had to become obsessive about them, like exotic pet owners, ordering food from far-off provinces of China or buying special heat lamps designed by NASA or spraying them with water syphoned from the salivary glands of left-handed gibbons. 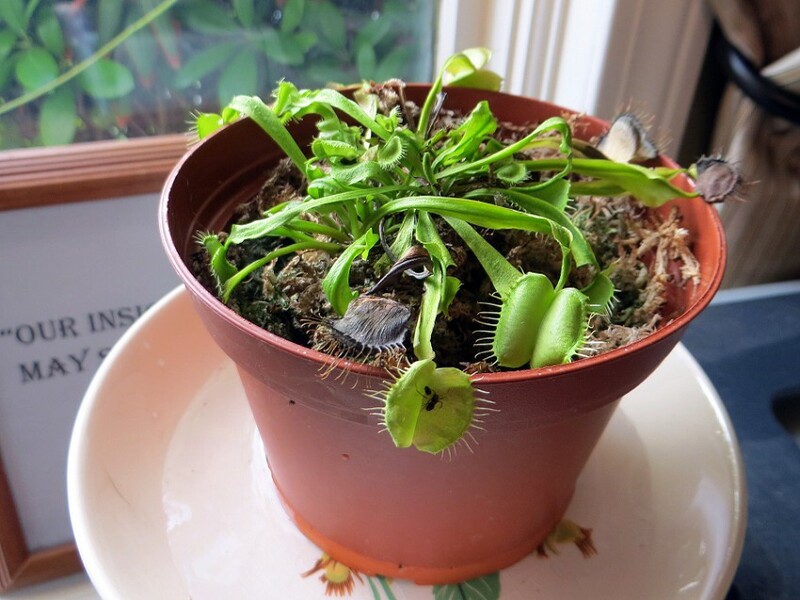 My wife, having no such tendency toward neurotic paralysis and being a firm believer in gender equality, bought me a little Venus Flytrap for Valentine’s Day this year. I loved the gesture, but kept the feeling secret that I thought she just condemned a specimen of one of God’s crazier ideas to imminent death. I was half-right. It lived for about eight months. And seemed happy. We sat on the couch together and watch plant-based horror movies—The Ruins, Attack of the Killer Tomatoes, Day of the Triffids, that one really terrible scene in Evil Dead, Invasion of the Body Snatchers, The Thing from Another World, Godzilla vs. Biollante, The Guardian, that one segment of Creepshow starring Stephen King, and, of course, Little Shop of Horrors. It refuses to watch The Happening. 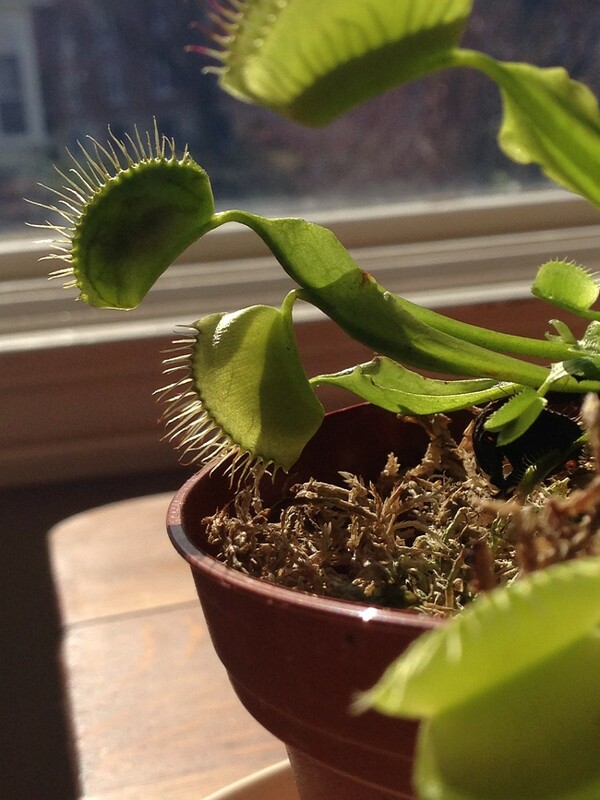 Venus F. Trap doesn’t have a tongue, but it does have taste. I never had to get obsessive with it, just consistent. I bought a bag of dehydrated sphagnum moss online (flytraps hate nutrient-rich soils), repotted it into slightly bigger quarters so that its traps didn’t hang over the edge, and placed it in a shallow bowl that I fill with filtered water every three days or so when the moss felt dry. Sometimes, even though it wasn’t necessary, I clipped its withered leaves (which it got every once in a while, especially after an insect snack). See, took great care of it. 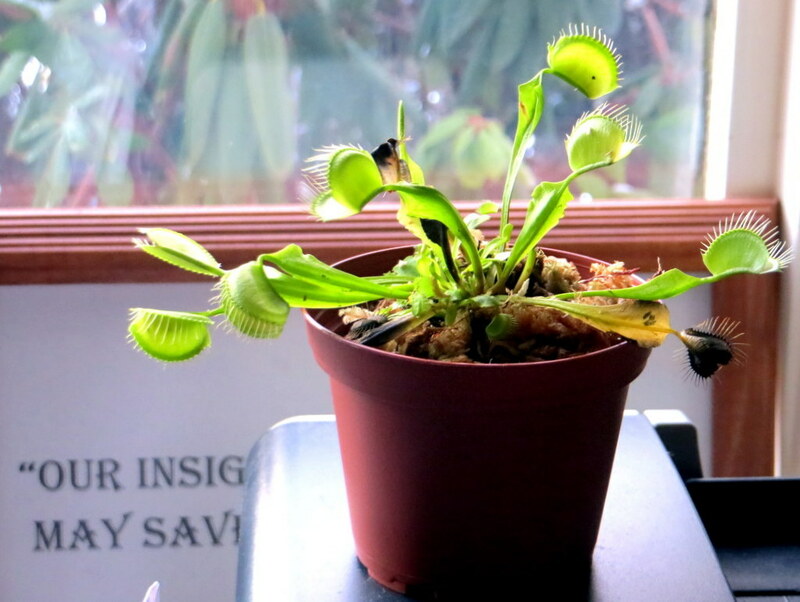 In return, it sat on my desk and kept me company, snatching up the ants that are sometimes drawn to the goldfish cracker crumbs I drop in the crevices of my keyboard, exactly like I’ve always wanted a carnivorous plant to do. I remember the first time I saw it hinge shut. It was still winter and bugs were difficult to come by. I was removing a cat hair that had floated into one of its green maws and I accidentally triggered it. Later, I saw the aftermath of its power, the silhouette of a massive spider inside one of its traps. Truth is, it didn’t need those bugs to survive. They’re pretty hardy plants, honestly. The fact that it evolved to not just consume live meat but to actually trap it, shows how good it is at living. I can’t trap live meat. Things went downhill during the massive road trip that my family took in June. I forgot to mention to the person watching our house that I had a carnivorous plant that needed slight tending. I mean, I remembered the cat and the prisoners in the basement, but forgot my little green companion on the desk. When I returned ten days later it was a sorry sight, wilted and limp and without the strength to even finish the bugs in its craw. But I pruned it, watered it, quoted lines from the first Addams Family movie to it, and it sprung back. I though things were good and that we could just chalk it up to a rough patch. Every relationship has one of those here or there. However, slowly, over the next couple of months, each trap died and, eventually, just across the September line, the weight of existence eventually won out. It made it far enough into September for us to start celebrating Halloween, at least. But I loved the thing. In fact, in a year where I got a new daughter, visited nine states that I’ve never been to before, and published a dream-project book, my Venus Flytrap was a highlight. 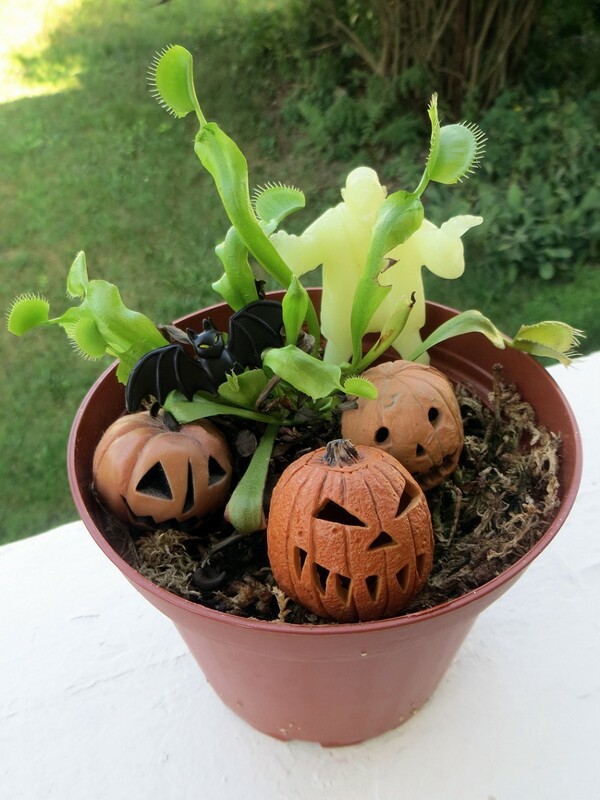 Happy almost first Halloween, Venus Flytrap. Sorry, had to steal a tombstone for it. Hope the guy it originally marked isn't the revenge-type.